Kyriakides Leonidas, Ph.D. ​completed his undergraduate studies at the Pedagogical Academy of Cyprus (Teacher’s Diploma, 1988) and at the State University of New York (B.Sc. 1990, Mathematics). He received his doctorate in Educational Research from the University of Warwick (M.A. 1991 and Ph.D. 1994 in Educational Research). 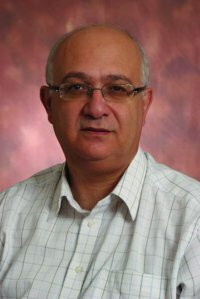 He has taught at the Pedagogical Institute of Cyprus (1994-1998) and at the University of Warwick (1998-1999). His field of research and scholarship is the evaluation of educational effectiveness, whether of teachers, schools or educational systems. His major contributions to knowledge in the field are in three distinct but related dimensions. These are the evaluation of teacher effectiveness, the evaluation of school effectiveness, and the development of generic and differential models of educational effectiveness that can be used for establishing links between research and improvement of policy and practice. Currently his research agenda is concerned with the development of a dynamic model of educational effectiveness, and the application of effectiveness research to the improvement of educational practice.